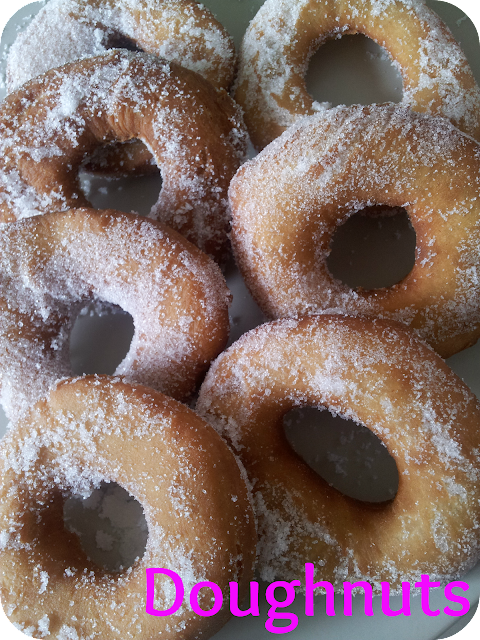 Warm, soft and sweet these sugary doughnuts definitely hit the spot if you are after a delicious treat. They take a while to make due to the time the dough requires to rise, but they are worth the wait and taste just like shop bought ones! Combine the flour, salt and butter in a bowl. Mix in the sugar and yeast. Add the egg, milk and water and mix to form a soft dough. Knead for 5 minutes, either in a mixer with a dough hook or on a well floured surface, until it becomes elastic in texture and smooth. Place in a bowl, cover with cling film and leave in a warm place to rise for about an hour (it should nearly double in size). Gently knead the dough again for a few seconds, roll out to approx 1/2 inch and using a 7.5com cutter cut out 20 rounds. Remove the centres using a 4cm cutter to create the rings. Place the rings on a lightly oiled tray, cover again with cling film and leave in a warm place to rise for approx 40 minutes. Heat the oil for deep frying in a pan on a medium heat (you can use a deep fat fryer if you wish on 180 degrees). Place one doughnut in the oil once it is hot to test the heat. It should go golden brown in around 4 minutes being turned regularly. If it goes dark quickly the oil is too hot so adjust accordingly. Once the doughnuts are cooked, toss them in caster sugar. 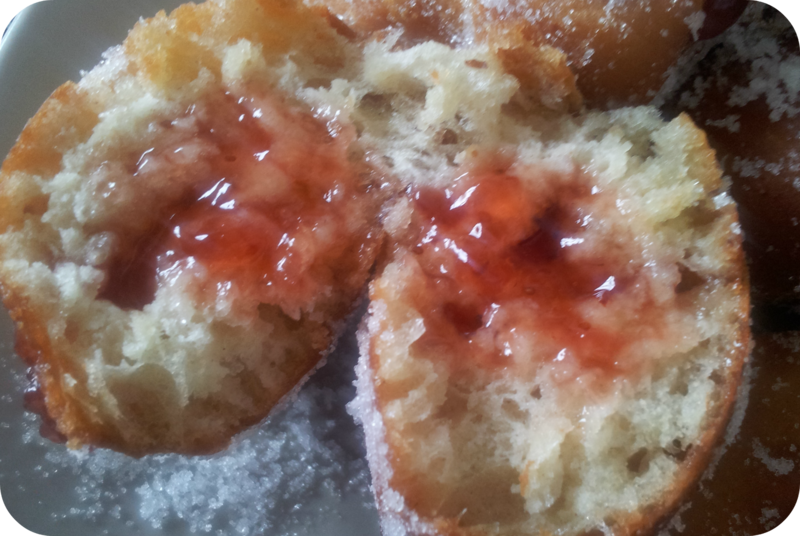 If you wish to make jam, chocolate or custard filled doughnuts you can form balls instead of rings. These take a few moments more to cook; you can tell once they are done by tapping them as they sound hollow and they will also become lighter in weight. Once cooked simply pierce the doughnuts with a skewer and insert the filling of your choice with a piping bag. capital to say that I acquire in fact enjoyed account your weblog posts. Anyway I'll be subscribing for your feeds or even I achievement you get entry to persistently fast. accession capital to assert that I acquire in fact loved account your weblog posts. Thanks , I've just been looking for info about this subject for a long time and yours is the greatest I have came upon till now. However, what in regards to the conclusion? Are you positive concerning the source? to it. Is there anybody else having identical RSS issues? Anyone that knows the solution will you kindly respond?